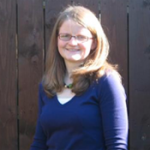 Elaine qualified from University College Dublin in 2005 and worked for 2 years in mixed practice in Moira, Co. Down. After travelling around Australasia for 6 months, she took up a post in Jubilee Veterinary Centre as a mainly small animal vet with minor involvment in large animal work and a once weekly visit as veterinarian to Belfast zoo. In 2010, Elaine gained a general practitioners’ certificate in small animal medicine and loves nothing more but to get her teeth into an exciting medicine case! Out of Jubilee Veterinary Centre, she can be heard screaming support for Ulster Rugby,photographing the landscape and loves baking. 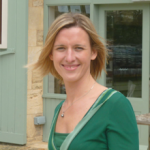 Elaine is currently off on maternity leave and will return in January 2016. Sharon was brought up on a dairy farm living on the Ards peninsula. 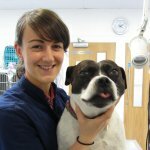 She graduated from Edinburgh Vet School in 2003 and worked in mixed veterinary practice in Co.Tyrone for 3 years. She joined Jubilee in 2006 where she works mainly on the farm animal side of the practice. 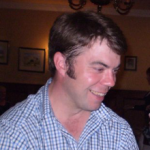 A native of Comber, Andrew Fletcher graduated from Edinburgh Vet School in 2004. Following a short period working in mixed practice in Cookstown, Co Tyrone, he returned home to Jubilee Veterinary Centre in 2005. Although mainly involved in the large animal side of the practice, specialising in bovine lameness and reproduction, Andrew still has a keen interest in small animal surgery. In his spare time he is involved in the running of the family farm, looking after a champion pedigree flock of Hampshire Downs and Welsummer poultry. His other interests include playing rugby union having formerly played for Ards 1st XV, golf, fly fishing and showing vegetables and classic tractors. Andrew is also a favourite amongst the ladies in the practice for his prize winning baking! Catherine graduated from Bristol Vet School in 2009 and spent 2 years completing an internship and working in practice in England before returning home to Portaferry. Since then she has been working in small animal practice in Northern Ireland and has developed a keen interest in medicine. She joined Jubilee in 2015. Warren Rowntree MVB MRCVS graduated from Dublin vet school in 2017. Brought up on the family farm in Co.Monaghan he joined jubilee shortly after graduating and works in the large animal side of the practice . He has a keen interest in both farm and equine work. In his spare time he enjoys helping at home on the farm and in the workshop welding and repairing machenery. 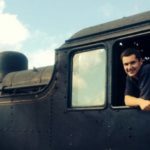 He also has a keen interest in steam engines and vintage tractors .